AmOne vs. Even Financial: Which Personal Loans Marketplace is Better? AmOne and Even Financial are market leaders when it comes to people searching for an online personal loan. We compare features of both to see which comes out on top. Few people enjoy having to go to a bank to arrange a loan, but now you can compare loan terms and rates, request approval for a personal unsecured loan, and get a range of offers, all within a few minutes and without leaving your couch. There are lots of online personal loan aggregators offering to help connect you with the loan that suits you best. Even Financial and AmOne are two of the many online loan marketplaces available. 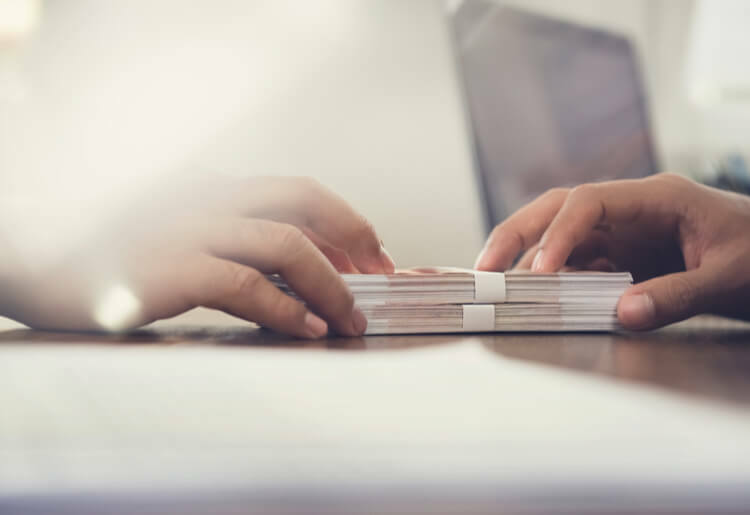 Read our head-to-head comparison of their loan terms and eligibility requirements, application process, customer service, and fees so that you can make an informed decision about which one to use. AmOne is a personal loan platform that specializes in peer-to-peer lending. It doesn’t lend the money itself, instead it shares your single application form with multiple direct lenders who then respond to you with loan offers. The advantage is that you get to review plenty of different loan offers and compare the APRs, repayment periods, and other details so you can choose the option that best suits your circumstances. It also saves you time shopping around for different loan quotes. AmOne lets you borrow money for any purpose you’d like, whether you want to consolidate credit card debt or cover a large purchase. The lower loan amounts and repayment periods make AmOne ideal for borrowers who need short-term financing but want to compare their options. It’s also best for borrowers with lower credit ratings, who are guaranteed to find a loan solution. Even Financial is an algorithm-based loan marketplace that connects trusted professional loan companies with borrowers. It shares your simple application form and a soft credit check with a number of loan companies at once, saving you time writing the same information in multiple forms. When you receive loan offers, compare the terms and conditions before choosing the one that is best for you. You can borrow for any reason, such as to pay for a large purchase or consolidate your existing debt. Even Financial offers loan amounts between $1,000 and $100,000. APRs range from 3.84% - 35.99% with terms of 24-84 months, although borrowers with credit scores under 580 might not be able to get the most favorable rates. Even Financial is best for borrowers with good or excellent credit scores who need access to larger sums of money. Borrowers are led step-by-step through questions about the purpose and amount of the loan, credit rating, employment status, and annual income as well as personal contact details. AmOne performs a quick soft credit check which doesn’t affect your credit rating, and then sends it to all the lenders on its platform. Within minutes you’ll receive pre-approved loan offers and can compare terms and conditions on AmOne’s platform. Once you choose an offer, you’ll be taken to the lender’s own website to complete its more detailed application form. The lender will then run a hard credit check and give you a final loan offer, which might be a little different to the first one it sent you, and you can decide whether or not to go with it. Even Financial presents you with a short and simple form that asks your date of birth and social security number, how much you want to borrow and for what purpose, your employment status, credit score, homeowner status, and annual income. It will run a soft credit check, which doesn’t harm your credit rating, and share both the form and the credit check with the trusted lenders on its platform. You’ll start receiving pre-approved loan offers and static loan rates within a few minutes. You can compare it side-by-side using Even Financial’s algorithm to calculate your estimated monthly repayments for each option. When you’ve decided which offer to accept, you’ll visit the lender’s website where you’ll be asked some more questions and go through a hard credit check before receiving a final loan offer. AmOne and Even Financial are not direct lenders, so the exact loan terms differ according to the specific lender you go with. There does seem to be more competition between the lenders on AmOne's peer to peer lending platform, which could force down the rates and bring you better APR amounts overall. AmOne is also more accommodating to borrowers with poor credit. On the other hand, Even Financial’s higher maximum loan amount of $100,000 is way beyond AmOne's maximum of $40,000. If you need a larger amount and have perfect credit, you’ll do better at Even Financial, but borrowers whose needs are more modest could find the best loan terms at AmOne. AmOne asks that you verify that you are over 18 and a US citizen or permanent resident to qualify for a personal loan. You'll need to have your own bank account and show a steady source of income. Beyond that, its eligibility requirements are pretty modest. You don’t need to have any particular credit rating in order to qualify or any specific annual income threshold. Even Financial has similar requirements. You'll need a social security number and to be over 18 as well as having your own personal bank account. Even Financial has no minimum annual income or credit rating. Neither AmOne nor Even Financial charges any fees for their service. Both platforms get their money from the lenders themselves, not from the borrowers who use the site to access a loan. Some of the lenders do charge what’s called an origination fee, which should be clearly displayed when you move to that lender’s website and is usually included as part of its APR rates. AmOne gives its customers an extensive set of educational services so that you can learn more about personal loans, mortgages, unsecured loans, and personal finance in general. Specific customer support is only available by opening an email ticket, but its responses are fast and informative, usually within one business day. The website is not easy to navigate, though, and the FAQ page is hard to find. Even Financial offers fast customer support through email, phone, or live chat. The website is straightforward and well laid out, with a helpful FAQ page. Even Financial also has an extensive blog with plenty of useful information about personal finance issues. Both AmOne and Even Financial are transparent about what data they gather and have similar privacy policies. They promise that none of your personal details will be shared with anyone apart from its authorized business partners and that it won’t sell your data to any third party. Both platforms also use 256-bit SSL encryption to protect your data from hackers. It’s a neck and neck battle. Both personal loan platforms offer a high level of security, a fast and simple online application process, zero fees, and remarkably similar loan terms, repayment periods, and eligibility requirements. However, although Even Financial offers a higher maximum loan amount, AmOne comes out slightly ahead. AmOne has a better range of options for borrowers with fair or poor credit and a more intuitive application process. It also is likely to deliver slightly lower APRs overall, since the peer to peer lending market encourages competition between direct lenders in order to get your business.